yay, it's friday! have a lovely weekend! that is a great shot, he must be a trusting (and bold) little fella. Usually they just run and don't let you get that close. Now is the dish for him or a cat, I wonder? ;) Be well. simona! 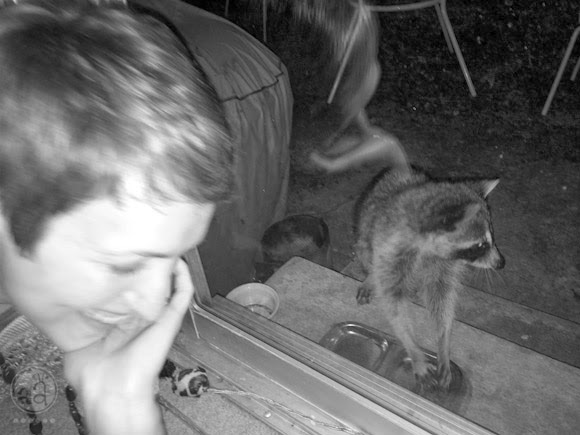 are you the racoon whisperer???? What a shot! Our moment this week comes from Grace's second time climbing the rock wall!